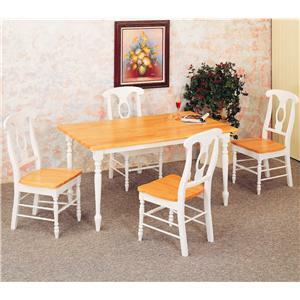 The multipurpose features of this 5 piece game table set offer a relaxed style and functional designs, while creating a fun and inviting atmosphere. 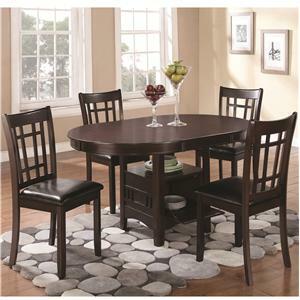 Use as a casual dining area during the day, and entertain guests on a Friday night with bumper pool and a 42 inch card playing surface. For convenience, pool sticks and balls are included with the set! 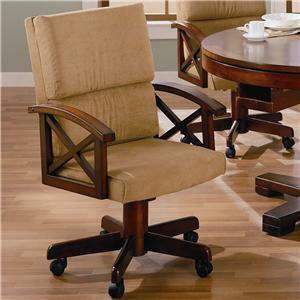 The coordinating game chairs feature plush cushioned seats and seat backs, caster wheels for easy mobility, and attractive oak arms with an X design. 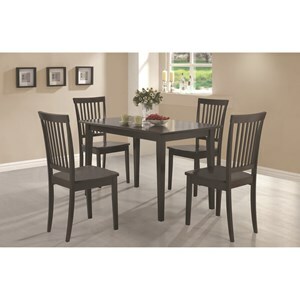 With total comfort, enjoy your morning cup of coffee or long and intense card game with the unique character if this 5 piece group. 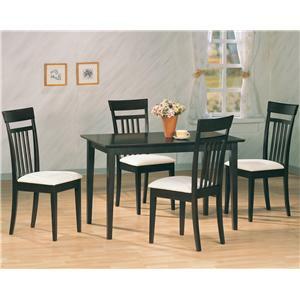 The Marietta 5 Piece 3-in-1 Game Table Set by Coaster at Value City Furniture in the New Jersey, NJ, Staten Island, Hoboken area. Product availability may vary. Contact us for the most current availability on this product. 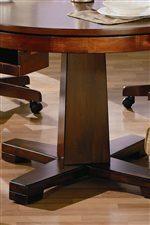 Case Detail Clean defined edges, single pedestal table base, and caster wheels on chairs. 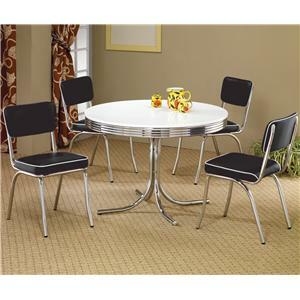 Description: Top Smooth finished top that converts to poker table or lifts for bumper pool. 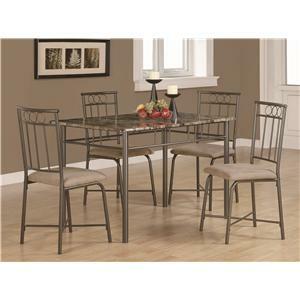 With a multifunctional purpose, the Marietta collection will bring a relaxed and inviting style to your home. 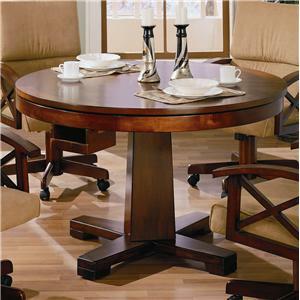 The round oak table can be used as a dining table, poker table or bumper pool, as pool sticks and balls are included with the set! 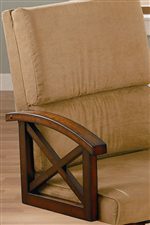 The oak upholstered arm chairs feature plush cushioned seats and seat backs and caster wheels on the feet for easy mobility. 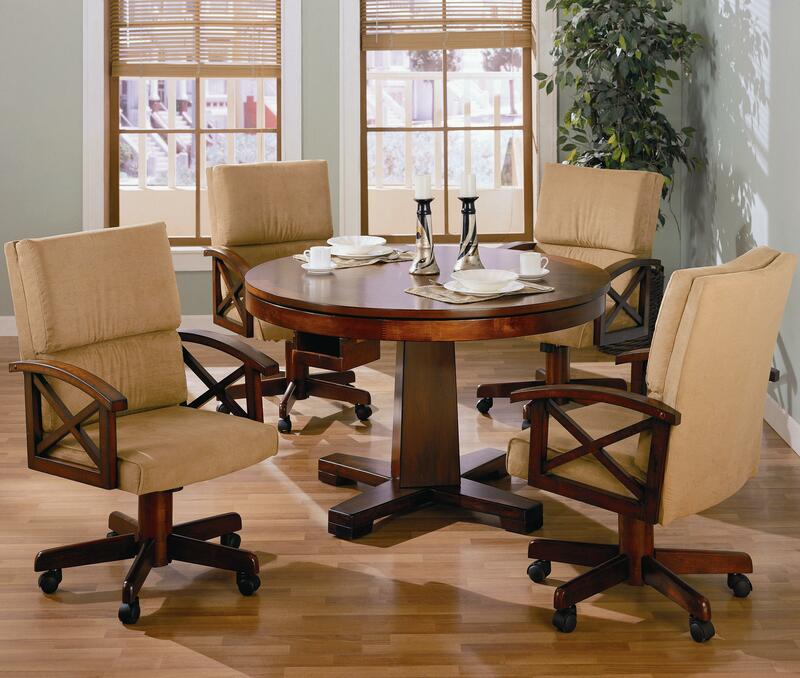 Sip your morning cup of coffee in total comfort or enjoy a Saturday night game of poker with the Marietta collection! 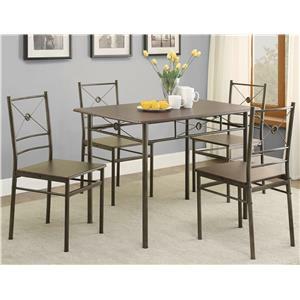 The Marietta collection is a great option if you are looking for Casual furniture in the New Jersey, NJ, Staten Island, Hoboken area. 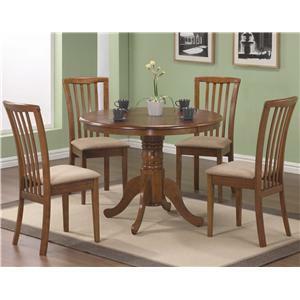 Browse other items in the Marietta collection from Value City Furniture in the New Jersey, NJ, Staten Island, Hoboken area.